Austrian OMV Group postponed its decision on the Black Sea investment for next year, in the context of the offshore law adoption being postponed, Reuters reports. The exploitation of the Neptun perimeter would be carried out by OMV local subsidiary, Petrom, along with American ExxonMobil and the investment also includes the construction of the first deep-water exploration well within Romania’s territorial waters. 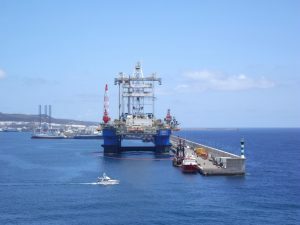 The Chamber of Deputies adopted the offshore bill on Wednesday, but the CEO of OMV Rainer Seele said the vote came too late. “We cannot make an investment decision for Petrom this quarter, as we planned,” said Rainer Seele and added that OMV must first assess the conditions under which they will make what the company expects to be an “investment of billions of euro”. The final version of the offshore law provides for a royalty tax rate of 13.5% of the value of the extracted gas. The tax deduction threshold for investments remained at a maximum of 30% of the total tax on additional offshore revenues, a threshold that oil companies consider to be restrictive. The law includes the provision on the stability of royalties at the level existing at the moment of granting the concessions and, in addition, provides for maintaining the tax regime for activities “carried out based on agreements existing at the date of entry into force of the law”. At the same time, additional revenues of oil companies would be taxed between 15% and 50% depending on the price at which they would sell the resources. Another amendment introduces the requirement for producers to sell at least 50% of the natural gas produced, on the Romanian centralized market. “We are very worried that we will be restricted in terms of gas trading,” OMV said. “Freedom of trading is very important to us,” he added. In 2012, OMV and ExxonMobil announced the discovery of gas resources ranging from 42 to 84 billion cubic meters in a perimeter located 170 kilometres from the Romanian shore.